Nice layout with good greens with upside for plane spotters! 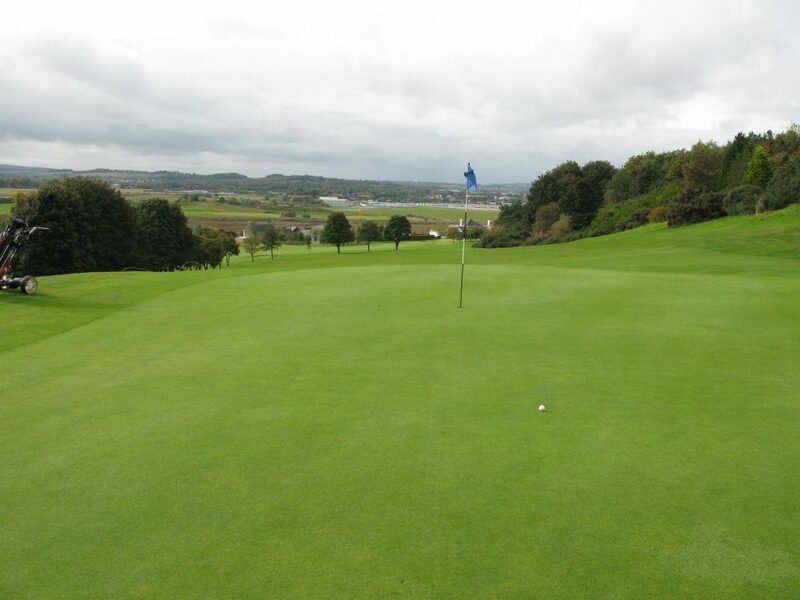 Turnhouse golf course was laid out with 9 holes in 1897, and extended to 18 holes a few years later. The original course designer is not known, but James Braid carried out a redesign in 1928, characteristically focused on the use of bunkers. 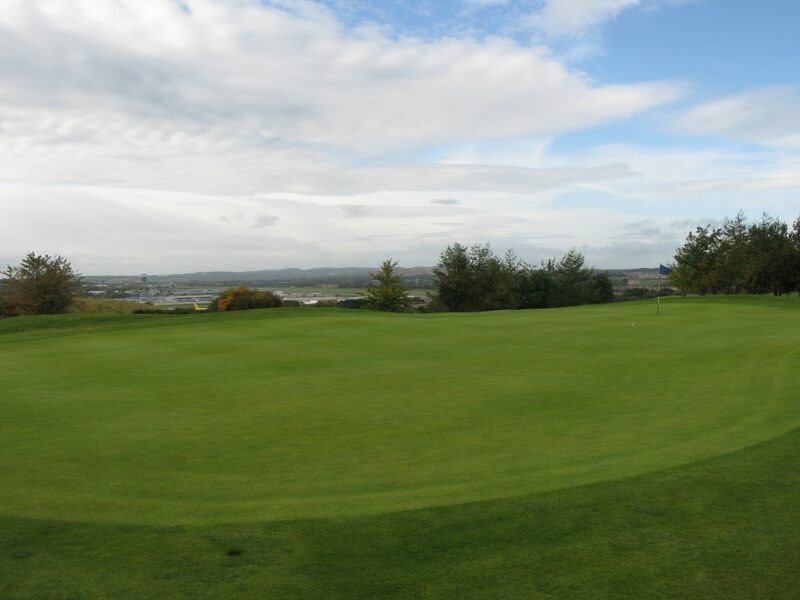 The course sits on Lennie Hill, very close to Edinburgh airport and easily accessed by road. There are good views of the Pentland Hills to the south and to the Fife Ochill Hills to the north. For a parkland course designed in the 19th century it unusually has two 9 hole loops, starting at the clubhouse. Turnhouse has a classic parkland feel and there is a good mix of some generous and some tighter fairways. I thoroughly recommend the excellent online course planner available on the club website, especially as there are several blind tee and second shots. A good example is the long 4th hole which has a nasty blind bunker on the right hand side of the fairway at about 430 yards awaiting a well struck second shot – bear in mind out of bounds is tight along the left of this hole. The fast Stroke Index 1 10th green at Turnhouse, a tough start to the back 9. The planner might also help gauge driving distance on some of the tighter holes, with the formidable 13th tee shot being actually easier that it looks, with only a hybrid or fairway wood being needed at the tee, with a larger landing area being available than at first sight. The greens were surprisingly well drained and quiet fast – I putted off the 9th green where the pin had been placed on the right – beware! Overall the course was in good condition, with only the tees perhaps in need of some effort. 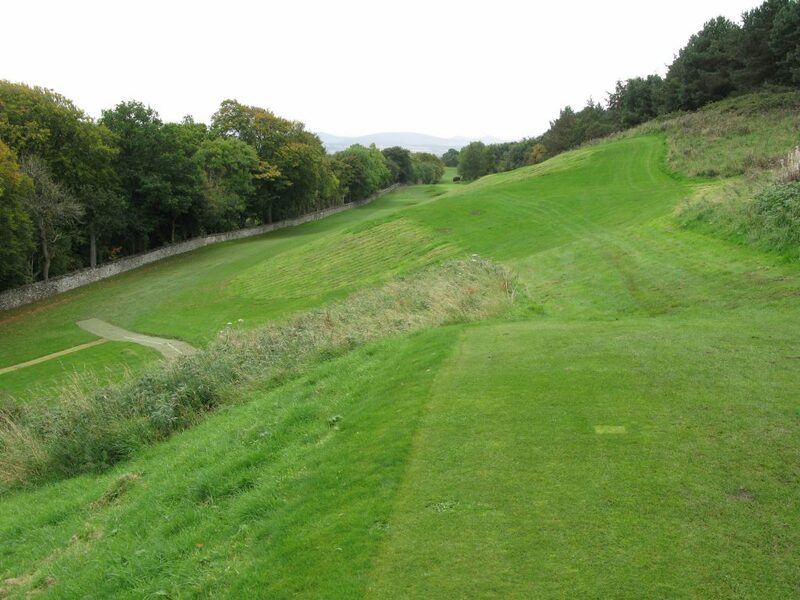 The frightening looking 13th tee shot at Turnhouse – take a hybrid to guarantee playing from the fairway. I had a most mercurial round. I only hit 3 greens in regulation and birdied all 3 of them! 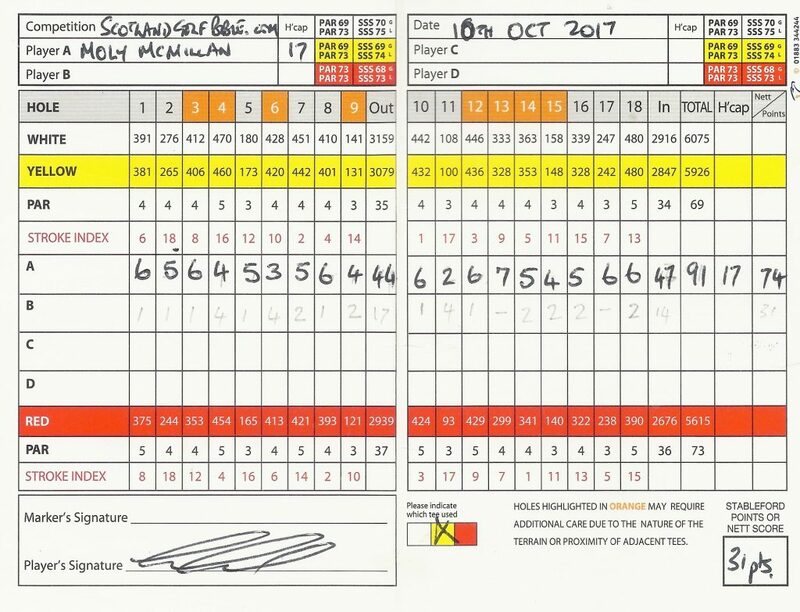 (4th, 6th and 11th) – my stableford had three 4 pointers but no 3 pointers! Turnhouse was a most pleasant surprise and one of the lessor known Edinburgh courses well worth a visit. 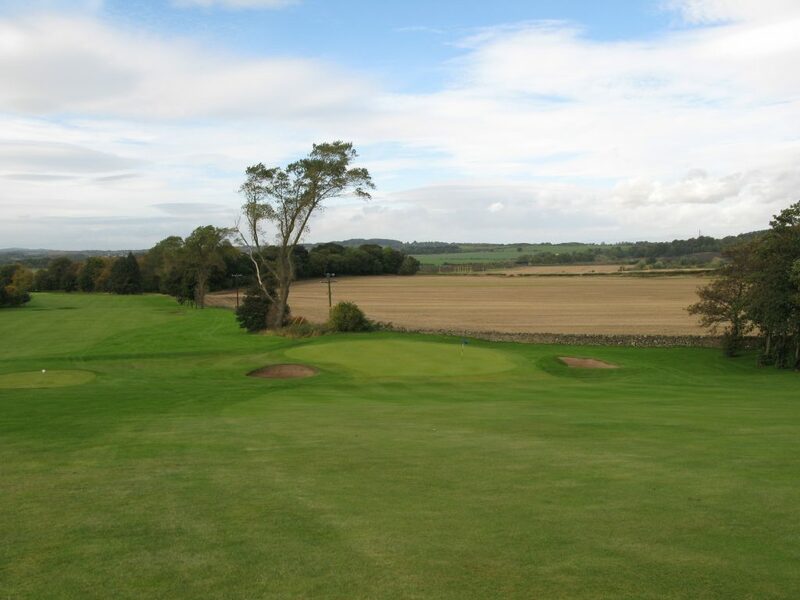 This entry was posted in 18 holes, 1851 - 1900, 3 star, 3.5 star, Course Architech, Course Owned By, Course Quality, Course Type, Edinburgh & The Lothians, Holes, James Braid, Overall Value, Parkland, Price, Private, Region, When Course Established, £20 - £39. Bookmark the permalink.